A great way to display clothing or handbags! 1 in. 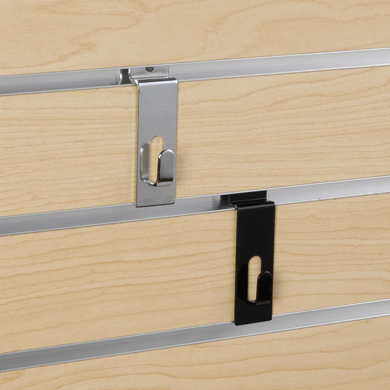 Notch Clothing Hook for slatwall.A Great way to display clothing or handbags. Available in Chrome or Black.